Press is a British 60 minute scripted drama television series, which kicked off on September 6, 2018, on BBC One and is broadcast every Thursday at 21:00. The show is currently in its 1st season. BBC One is yet to announce the renewal of Press for Season 2 as well as its cancelation. Sign up to track down the show's status and its release date. 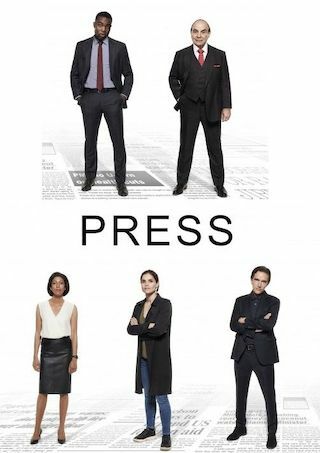 Set in the fast-paced and challenging environment of the British newspaper industry, Press will immerse viewers in the personal lives and the constant professional dilemmas facing its characters. The series follows their lives as they attempt to balance work and play, ambition and integrity, amid the never-ending pressure of the 24-hour global news cycle and an industry in turmoil.